A local man stopped Friday for weaving was arrested for DUI and possession of cocaine, according to Aspen police. Benjamin Hayden, 26, was pulled over near the intersection of Gibson Avenue and Lone Pine Road and told police he had a gram of cocaine in his pocket after he was arrested and before an officer searched him, said Aspen police Sgt. Terry Leitch. The substance later tested positive for cocaine, he said. 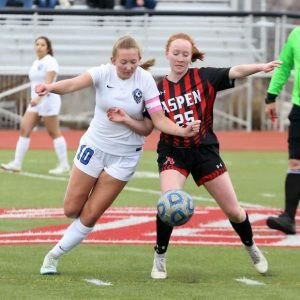 Hayden was charged with DUI, felony possession of a controlled substance, driving with a suspended license, careless driving and failure to drive in a single lane. 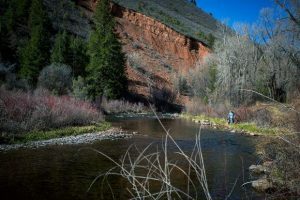 The White River National Forest released a Final Environmental Assessment/Finding of No Significant Impact and draft Decision Notice for the Upper Fryingpan Vegetation Management Project, the U.S. Forest Service announced Tuesday. The selected alternative will authorize vegetation management on 1,759 acres on the north side of Fryingpan Valley. The work is planned between Fryingpan Road and the Lime Park area. A variety of management tools will be used. The finding and draft decision are available at http://www.fs.fed.us/nepa/fs-usda-pop.php/?project=50171. The project is intended to use sustainable forestry practices to provide timber, improve wildlife habitat and create ecosystem resilience. It will increase forest diversity across the targeted area, according to Brett Crary, silviculturist and project manager. 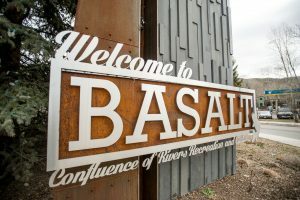 The town of Basalt was wary of the project because of the amount of truck traffic that will roll through Basalt. Conservation groups questioned if the project was necessary. “The Forest Service carefully considered comments from members of the public, developed site-specific design features to minimize negative effects associated with logging activities, and removed some proposed harvesting areas that currently contain high quality primary lynx habitat,” the agency said in a news release. The release of the draft decision triggers a 45-day objection period. Individuals and organizations that submitted timely and specific written comments during the scoping period will be eligible to file an objection. Objections, including attachments, must be filed via mail, fax, email, hand-delivery, express delivery or messenger service (Monday through Friday, 8 a.m. to 4:30 p.m., excluding holidays) to: Reviewing Officer, Brian Ferebee, Regional Forester, c/o USDA Forest Service, Region 2, Rocky Mountain Region, Attn. Objection Reviewing Officer-Planning Department, 1617 Cole Boulevard, Building 17, Lakewood, Colorado 80401. Fax: 303-275-5134, or email to r02admin_review@fs.fed.us. Two hikers struck by fatigue and cold weather on the Sunnyside Trail were brought to safety Monday by Mountain Rescue Aspen, according to a news release. The hikers reported their plight at approximately 2:36 p.m. to the Pitkin County Sheriff’s Office. MRA then deployed a team of three into the field at 4:19 p.m. Later they found the hikers and escorted them back to the trailhead. The hikers had no injuries or illnesses, and declined medical treatment. All told, 13 members of Mountain Rescue Aspen and the Pitkin County Sheriff’s Office participated in the incident.